The Cherokee National Supreme Court Museum, located on the southeast corner of Tahlequah's town square, was built in 1844 by James S. Pierce and housed the Cherokee National Supreme Court. 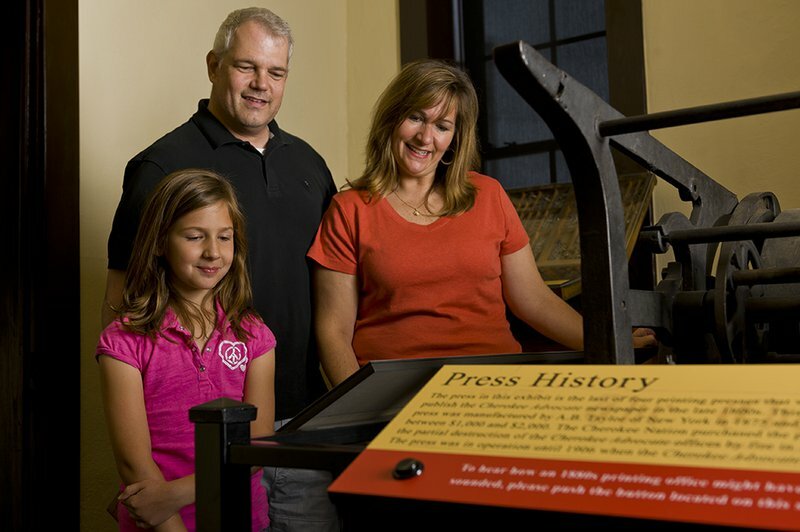 This historic building also played host to the original printing press of the Cherokee Advocate, the official publication of the Cherokee Nation and the first newspaper in Oklahoma. 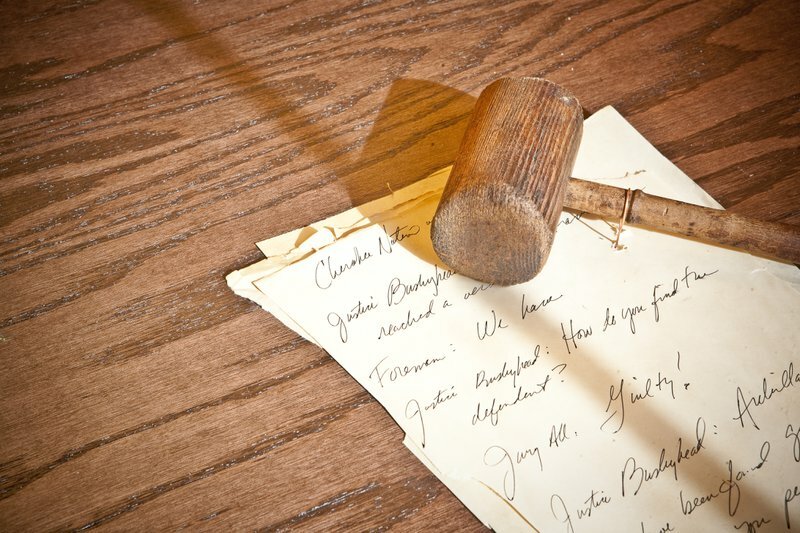 Stop at the Cherokee National Supreme Court Museum during a trek through Tahlequah and enjoy three exhibit areas detailing the Cherokee National Judicial System, the Cherokee Advocate and Phoenix newspapers, and the Cherokee language. 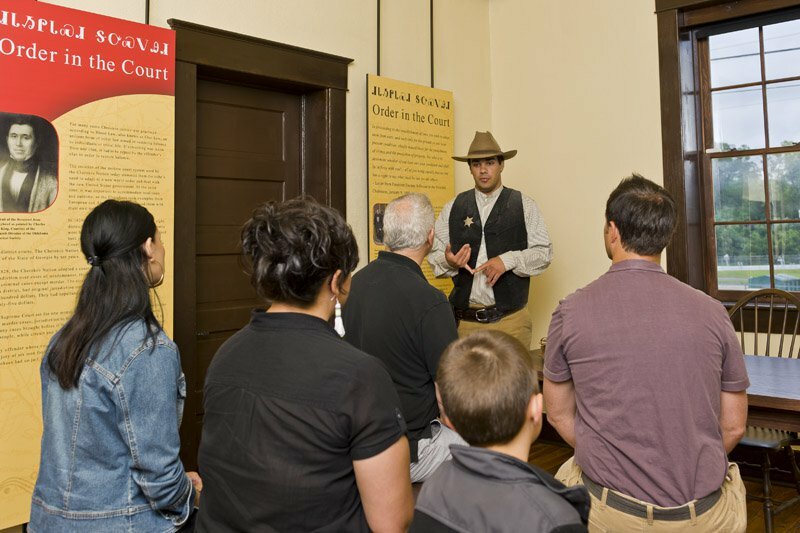 The oldest government building in Oklahoma, the Cherokee National Supreme Court Museum features a wide variety of historical items including photos, stories, objects and furniture. 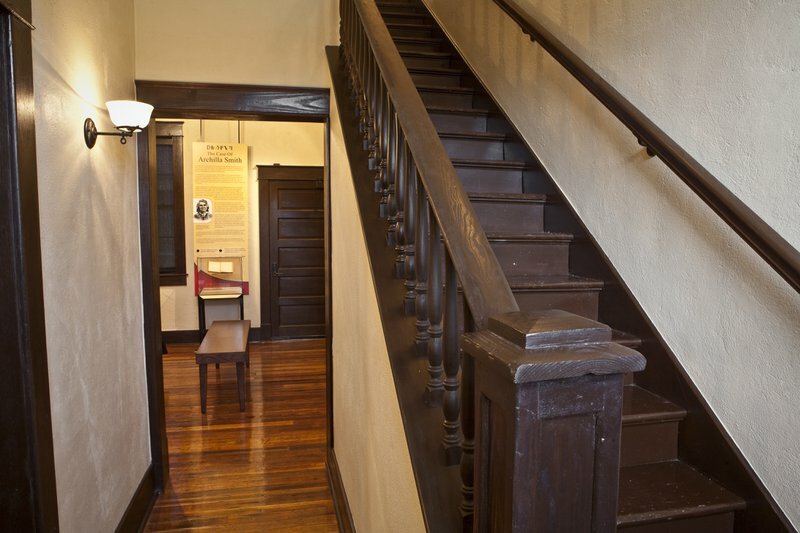 This museum, which established Justice John Martin as the first Chief Justice of the Cherokee National Supreme Court, preserves the site of the first sessions of this government body, held more than 160 years ago. 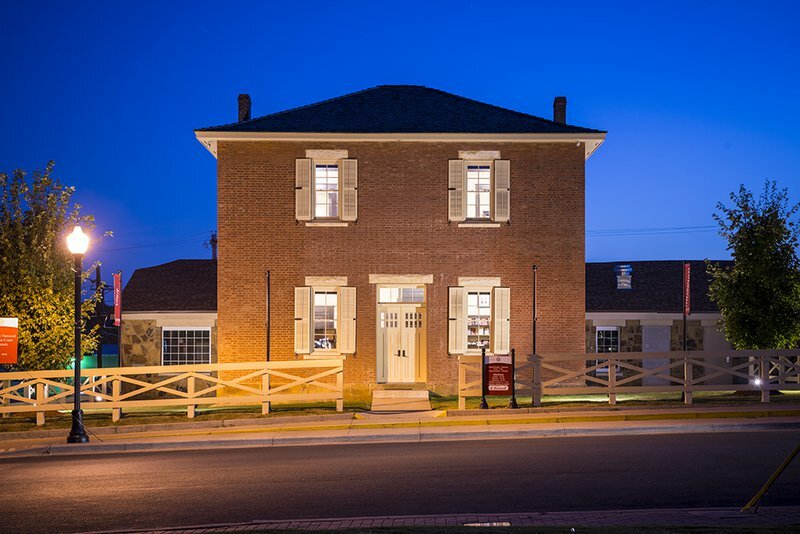 Come to this 1,950 sq ft museum located in the heart of the Cherokee Nation to witness the historical marriage between judicial history and American Indian culture firsthand. Under 5: FREE While every effort has been made to ensure the accuracy of the pricing listed above, prices are subject to change without notice. 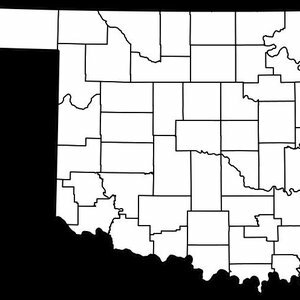 Discover Cherokee County and trace your family history and ancestry with this list of county-specific genealogy resources. 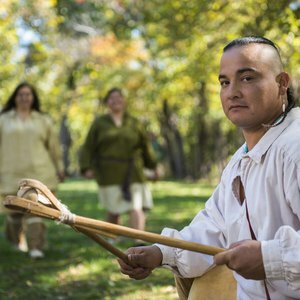 Tahlequah, fondly known as the capital of the Cherokee Nation, brims with Cherokee heritage. Explore this charming town to discover everything from the renowned Cherokee Heritage Center and other Cherokee attractions, to casinos and a scenic river ideal for float trips.